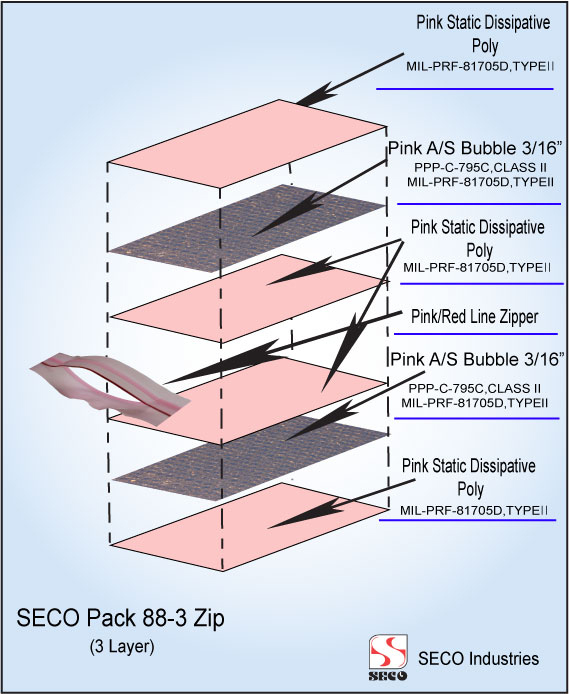 The Seco Pack 88-3 series is a three layer Anti-Static Cushion Pouch for static dissapative cushioning with a double track red line Anti-Static zipper closure. 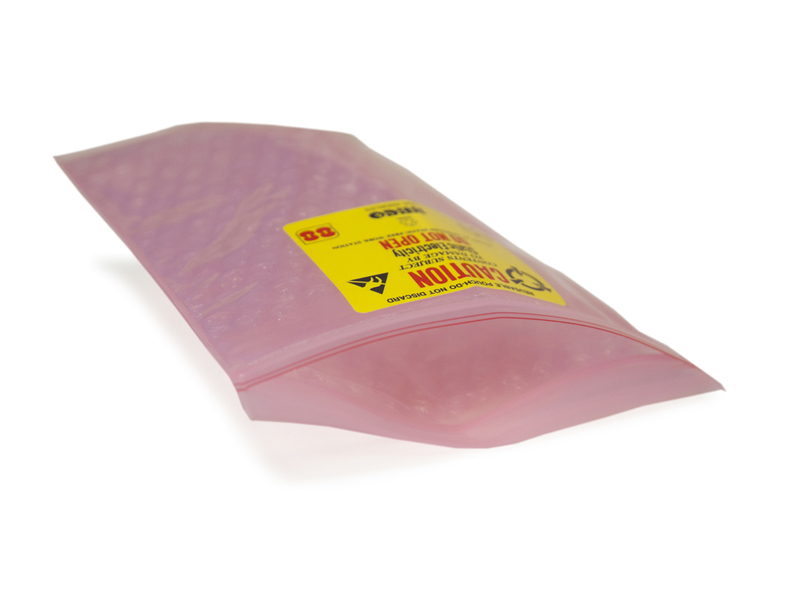 The outer layer is Pink Anti-Static poly followed by an internal layer of Pink Anti-Static bubble, and an inner layer of Pink Anti-Static poly. The internal surface is smooth for the ease of inserting objects. 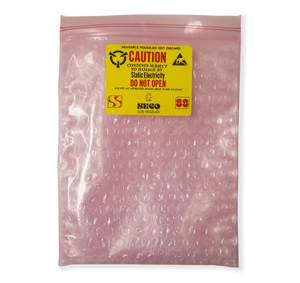 Meets Electrical Specifications of MIL-PRF-8170D Type II, PPP-C 795C Class II.